Dogs have been man’s best friend for tens of thousands of years. But our relationship with our furry companions may soon change in a very big way. According to a research paper from the University of Melbourne, the dogs of the future aren’t dogs at all. They’re robots. "It might sound surreal for us to have robotic or virtual pets, but it could be totally normal for the next generation," writes animal welfare researcher Dr. Jean-Loup Rault. He wants to know how technology could impact our relationships with pets in the future. While we’d like to think a digital animal could never replace the love we have for Fido, technology has undeniably already changed how we interact with and relate to other humans (hello, emojis!). Rault argues it could easily do the same for our relationships with animals. The question, he says, isn’t if real dogs will be replaced, it’s when and by what? The problem is that our pet population is not sustainable. “It is difficult to imagine how more than half of the 9.6 billion people of 2050 could still keep pets,” Rault writes. As the human population grows and our living spaces become smaller, it will be more difficult and expensive to take care of a real pet. Live dogs will become a luxury item for the rich, but the members of tomorrow’s 99 percent will still crave companionship and all the other benefits that come with dog ownership. This is where technology comes in. “We are already seeing people form strong emotional bonds with robot dogs in Japan,” Rault says. “People are becoming so attached to their robot dogs that they hold funerals for them when the circuits die." Some of the most popular robotic pups are the Aibos toy dogs, which Sony made from 1999 to 2006, selling roughly 150,000 units. The dogs were marketed as “Man’s Best Friend for the 21st Century.” They play fetch, respond to human touch, convey emotion, and take voice commands from owners. When Sony ended mechanical support for the toys last year, longtime Aibo owners were distraught at the thought of losing their companions and began shelling out cash to technicians who could fix their aging robotic pups. “I can’t imagine how quiet our living room would have been if Ai-chan wasn’t here,” one Aibo owner told the Wall Street Journal. “It will be sad when the day finally comes when Ai-chan is unable to stand up.” Sounds like they’re talking about a real, living dog, right? Recently, robotics company Boston Dynamics (which Google acquired in 2013) created a four-legged machine called “Spot” with uncanny balancing skills. A video of someone kicking the bot to demonstrate its agility made people really uncomfortable. 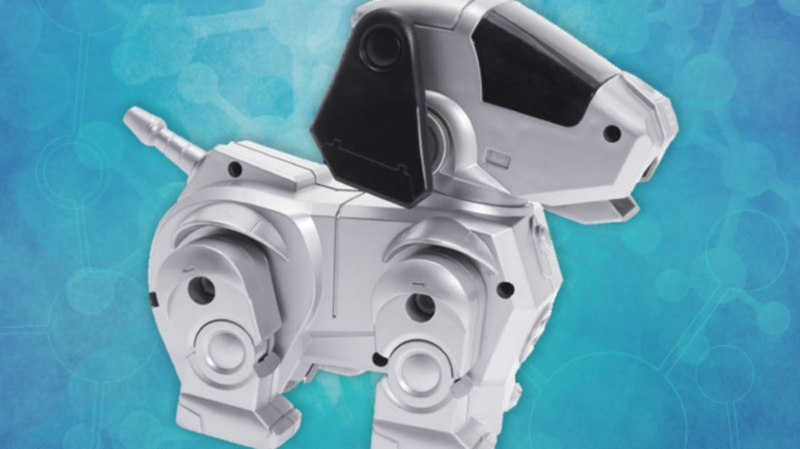 “Kicking a dog, even a robot dog, just seems so wrong,” wrote Benny Evangelista at the SFGate blog. Indeed, “overall, robotic pets appear to elicit similar responses from humans as live pets,” Rault says. "If artificial pets can produce the same benefits we get from live pets, does that mean that our emotional bond with animals is really just an image that we project on to our pets?" It’s an odd ethical question that we’ll have to tackle in the coming decades. While robotic pet companions could have benefits for those with allergies or space limitations, Rault worries about the impact they might have on how we view real animals. Would we lose touch of how to care for living creatures?